I wholeheartedly believe that ClusterTruck will be a game that withstands the test of time. 12 years from now when today's adolescents are grown they are going to talk about this whacky game and be downloading it to relive the nostalgia. In short, yes, ClusterTruck is that good. It's such a weird concept. You go from level to level jumping on top of semis until you reach the goal. If you touch the ground or hit an object you die. Simple as that. 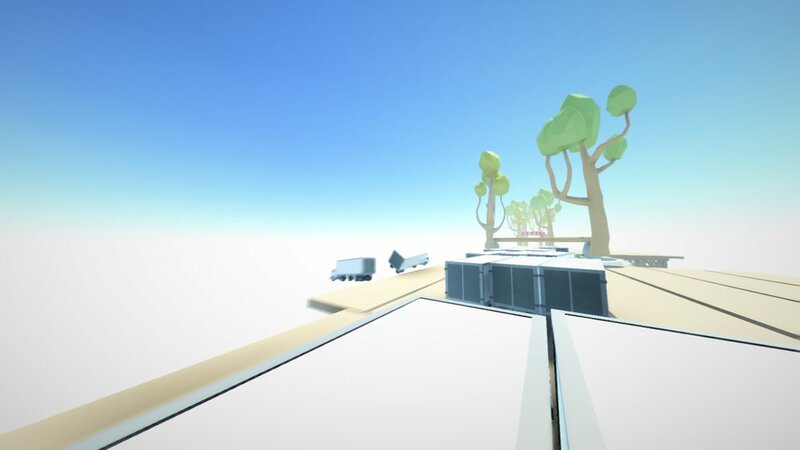 What seems so simple goes off the rails real quick as you'll have trucks falling from the sky, lasers trying to cut you in half, and obstacle courses trying to prevent what is already a trying task. It's just as hard as you would imagine. And that's why it's so rewarding when you finally do climb that mountain and defeat the level you tried a hundred times to beat. It's the moments when you scale a truck in the midst of flipping and spring-board across the level onto a speeding semi you're like "F*** YEAH THIS IS AMAZING"! As you complete levels, you'll also get the option to equip power ups to help you along the way. For example, I currently utilize the double-jump and slowing of time. Other options include grappling hook, the ability to spawn a truck beneath you, jetpack and more! What's better is that this game comes packaged with a level editor for when you finally get through the campaign meaning this game is set to have a lonnnnnnng shelf life provided the community has some great creators. Even if the creators aren't great the level editor is pretty simple to learn. I have no doubt we'll have some awesome user levels to play by the end of the first week no problem. It's a bad sign when I'm writing this while watching my footage and wondering if I can get away with pretending I'm sick the rest of the day just so I can play it some more. This game is crazy addictive and I guarantee you'll see it all over the place come next week! 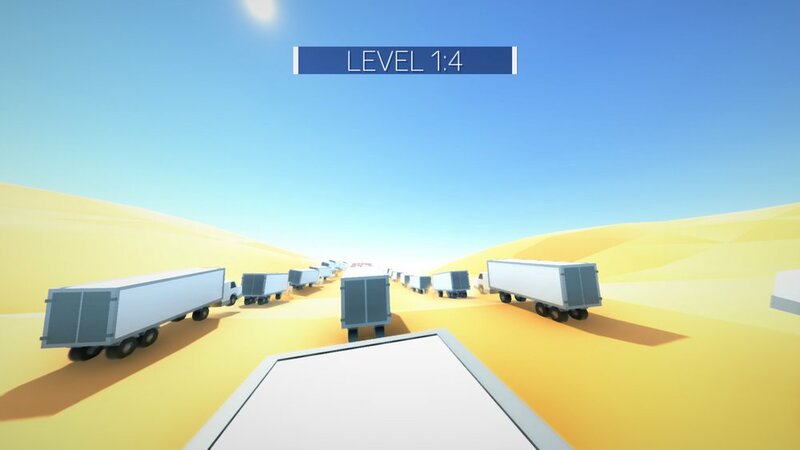 You jump on semis to get to the increasingly difficult. You can pre-order this game now and you'll love it. You can ignore me and you'll purchase it anyway because it's that good.